It has been over two years since I did a major upgrade to this WordPress blog. I managed to keep it online through a lot of trials and tribulations and although my job search is my number one priority and I bought my ticket back to Canada, I will be in China until the end of the month for “reasons” so putting off fixing all the flaws in this blog is not something I will be putting off anymore. I finally removed Mint and I made my homepage run faster but this blog is a bigger beast with a lot of old code that needs upgrading or completely replacing. My next step will be getting rid of years of revisions to blog posts and cleaning up my MySQL database even further. 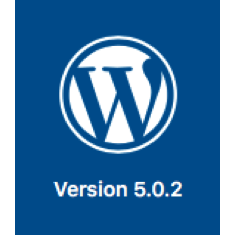 Then I will take the plunge and upgrade to WordPress 5.something. Before I do that I will make a backup, maybe even two backups, one of the database and you can also export your posts as XML. I used WP-Sweep to remove old blog post revisions of which there were a lot. This reduced the size of my MySQL database by 51 MB apparently. I never did a backup before I removed Mint because I didn’t want that data back, most of it is duplicated in Google Analytics. Upgrading to WordPress 5.0.2 went really smoothly. My website is noticeably faster with all the plugins turned off and my call in functions.php to ajax.googleapis.com/ajax/libs/jquery/1.10.2/jquery.min.js commented out. I’m not sure what plugin required that, but considering how slow my blog was running from inside China as 2018 ended, some plugins are definitely no longer welcome on Muskblog. The first thing I’m going to add back is likely Google Analytics, since I already left a plain Jane comment on a post. Many of these plugins may never be reactivated after how slow my blog got from inside China. I’m going to watch to see which ones hit against blocked services very carefully. I added back the following plugins in the following order and only one gave me any grief at all. My website is running so much faster, but I fear the spam and brute force attacks will hit soon. I’m going to leave it running with just these six plugins for a few hours and work on the upgrade more in the morning. With just those six plugins I got the dreaded deluge of spam, so I adjusted some options, then I added Akismet and still I get spam. I think I will be disabling trackbacks and pingbacks or at least not showing them. Years ago when I put this blog online I thought they were pretty cool, but now they just abused by spammers and for old posts they make the comment section look weird. Many advise removing them from your blog. I also will need to style my comments better, WP Touch did a much nicer job. Here are some tutorials I used to improve how comments look on my blog, I think I was still doing things the WordPress 1.0 or 2.0 way. I did finally get threaded commenting working, the answer was a line of code in header.php and a few other changes to comments.php as detailed by Ottodestruct. I then started replacing plugins, the first to go was HeadSpace2 which has not been updated in six years apparently. I used it to add exactly one metatag. It will be replaced by Yoast SEO. That is another big plugin which is actively under development and should preserve my data. The other two plugins which are on the way out are JetPack and Disqus. JetPack is just too big in my opinion and seems to do a lot in my wp_header and wp_footer. It has two main features I was using: metatags for Facebook and Twitter and the social sharing buttons. It does more and it might be fighting spam and malicious login attempts too, but supposedly upgrading WordPress will help with security and speed. You can spend a lot of time following search engine optimization advice from Yoast and others. I really, really want to get this post published before the end of 2019. Update: I’m not sure if it is a big issue in SEO anymore but in the olden days having busted links on your homepage was considered a negative signal as far as quality, but as the web has gotten bigger and personal homepages have gotten bigger, regularly running a link checker on your content has gone the way of the dodo. Worse, domain squatters pass the automated link checkers, but they can be a much bigger problem to your search engine optimization efforts than a busted link. As part of my new year, new WordPress upgrade I fixed 100s of bad links, most of them were pingbacks making them even less desirable in my eyes. I also discovered more duplicate comments, after thinking I’d deleted them all before I got around to checking links. Disqus seems to have become blocked in China. It also adds another Twitter and Facebook button and it does miscellaneous unwanted tracking, it will even advertise on my site, if I let it. It definitely slows my whole blog down in China and hardly anyone comments on what I post. My fear like removing JetPack is suddenly a host of spammers will descend on me, but again WordPress out of the box has more resiliency and features than it did originally. This was a long and thorough upgrade and while deleting duplicate comments by hand I discovered my website slowing way down and seeing as speed was the reason behind this upgrade I viewed source and discovered something is inserting a coinhive mining script. Is this in the WordPress source, a plugin on this list, is it from public WiFi in China, needless to say I’m going to try and find out. I haven’t seen this injection attack again so this was likely caused by being on public WiFi in China. I was in a cafe where I’ve spent too much time studying and looking for a new job. The cafe in question was a Wagas near Dashijie metro station, so beware using public WiFi in China as if that truly needed stating. Update: I caught them again inserting this mining script while I was debugging my blog theme in their cafe. There are still at least two outstanding issues I haven’t fixed plus I need to tweak and debug the CSS more, but this post has got to be published. Yoast SEO doesn’t seem to think it is particularly well written and I’m not looking forward to going through old blog posts and improving them to make a plugin happy, but at least the metadata and sitemaps seem to be working. I decided on a sitemap for categories but not for tags. I did include a tag cloud when you look at a tag archive but I did not use a plugin. This blog was much leaner and meaner until I discovered the Coinhive issue. Apparently I know how to code a webpage so that it loads fast, WordPress along with gee-whiz plugins are slower. I will continue to optimize including finally trying a caching plugin, that might be enough. The other things I can do for speed is get rid of YARPP, which I’ve discovered has been removed from the WordPress.org repository. It was a lot of effort to get good related posts to work and look good on my blog. I’m not sure what to do with this new tidbit of information. There are alternatives and there is data that shows JetPack is quicker I already had to add back Akismet maybe I have to go back to using JetPack. Google provides a lot more tools than they used to for developers and browsers also provide developer tools now. I’ve updated websites using the most primitive of toolsets so it isn’t a surprise that my hand-coded content runs quicker than a modern content management systems, but if you have a lot of content or plan to produce more and more content you need some sort of CMS. After removing YARPP I switched to a plying called Yuzo Related Posts. Then in April I discovered my blog was no longer accessible and was being redirected to spammy and phishy websites. My webhost was no help but the support forums and Google provided more information. Now I must decide if I will once again try to get related posts working or follow Yoast’s advice and just carefully choose my internal links and calls to action. The advantage of a related posts algorithm is if you have years of old posts, you will not remember them all and you will not want to edit hundreds of old posts and relink, but that is what I’ve been doing in 2019 while looking for a job. But I did not enjoy waking up to learn my blog was gone. I had to uninstall the plugin and write some SQL but before that I also made backups and changed my password apparently being hacked is not uncommon in 2019. I made a long advocated change to my WordPress theme changing single.php to use H1 for the blog post title. On category archives I was using H1, H2, and H3 logically. This necessitated a lot of trial and error changes to my style.css file and the adding of a single break tag as I could not quite get it to work just using CSS. I may switch to a clear div and I’ve moved breadcrumbs to header.php but I also seem to have introduced a bug into my pager styling. I’ve also been updating and optimizing a lot of text in older blog posts strategically, eventually I will have edited every blog post I’ve ever written, I’ve also been deleting content that isn’t helping with my search engine optimization efforts or more importantly my job search. I started writing my first new post in WordPress 5, this post was started in a previous version of WordPress and did not use the new editor. I’m not sure how having to click a button every time I want to add a new paragraph is faster than just hitting the “return key”. Same goes if you want to add an image or anything else you must first add a “block”. Although I turned off the related plugin post, what I really want to get rid of are self-pingbacks. I’ve been interlinking my blog for over a decade and on some posts there are a lot. There appears to be a way to do this built into wp_list_comments(), just set ‘type’=>’comment’. In WPtouch they do not show up by default, but in both cases are included in the count of total comments. They are nofollow’ed by default anyway, the time of pingbacks and trackbacks has passed, it is all about social sharing and I don’t have any of those buttons at the moment for speed. Most people know how to share on their phone and computer by now. WPtouch really controls the speed of my blog on mobile, updating to the latest version helped, turning off YARPP didn’t make much of a difference to mobile page speed according to Google, but it must be replaced due to being widely banned. Although I’ve been spending the majority of my time tweaking my CSS and updating old posts to be “better”. I have also already selected my five pieces of cornerstone content. But the ultimate improvement I could make to this website would be to replace this theme and all the static HTML with more modern HTML, I think I will also downsize my website even further at some point as social media now is much more important than it was when I originally created this website. I encountered difficulties floating a tall skinny image to the right of my text in Gutenberg something I had adopted doing as they share best on Pinterest. I searched the Internet but eventually created another StackExchange question for this problem. 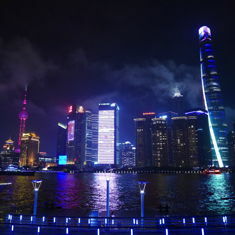 Although my latest greatest post about China clearly was not quite ready for prime time and I obviously need to upgrade my theme more, I had to publish so people could see the HTML in the wild and try to figure out what CSS rule or whatever is my problem. I’d already spent hours debugging it. Updating to a more modern WordPress theme perhaps one based on underscores might be wise. I did make a blank theme back in the day but I have not had time or the need to be on the cutting edge of WordPress. I have had much bigger problems, but once again being unemployed I have invested time in updating skills and updating and improving this website. If you have thoughts, fixes, insights, tips, or snide comments please leave them below. Social sharing buttons may make a return but not right away. I think this mining script being injected into my blog along with a plugin I installed being explored are much bigger problems.